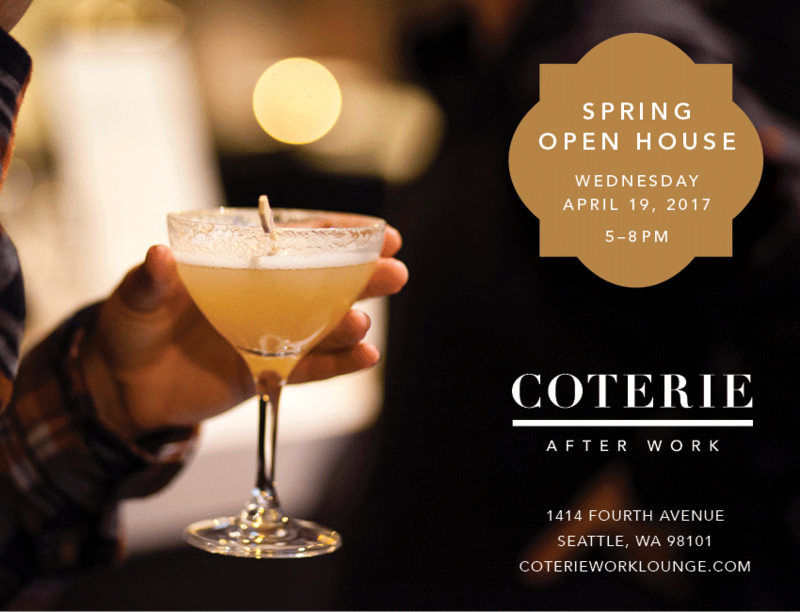 Part workspace, part social club, all business. 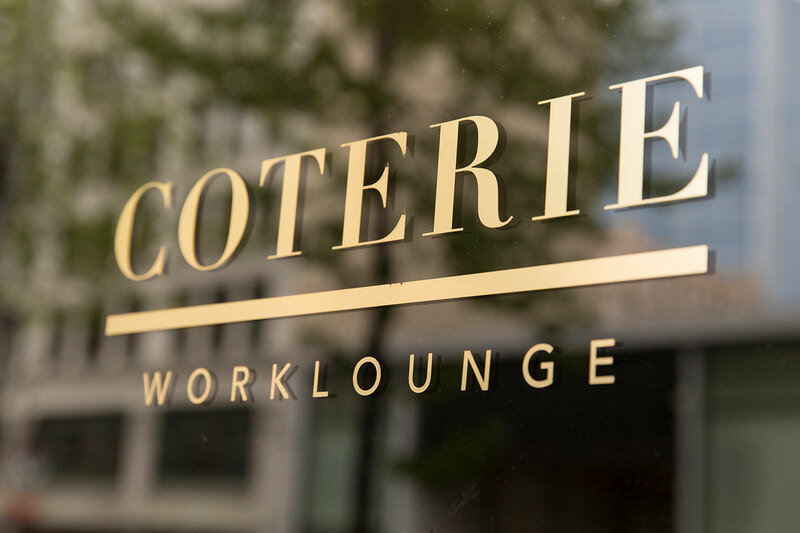 Coterie Worklounge is the only club in Seattle that lets you knuckle down, connect and unwind in one single setting. 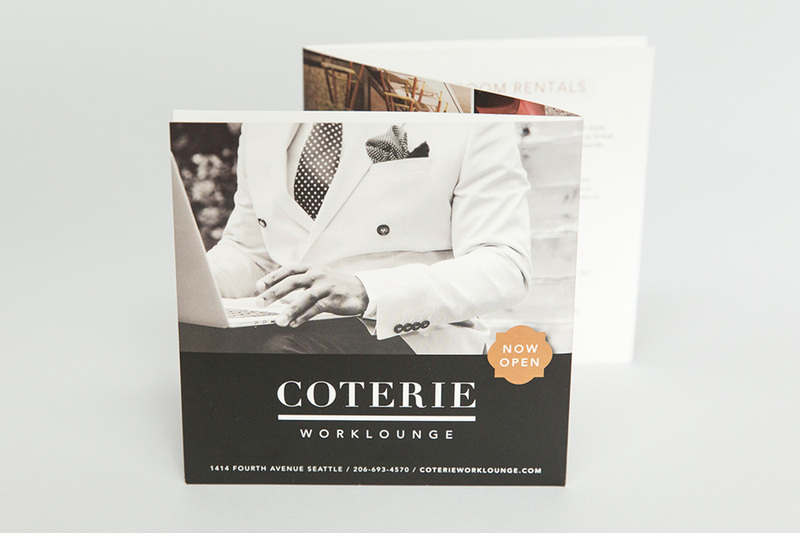 Being a new business, Coterie's brand needed to be flexible and adaptable. The visuals are not only applied to print and digital expressions, they are also used throughout the elegant space. 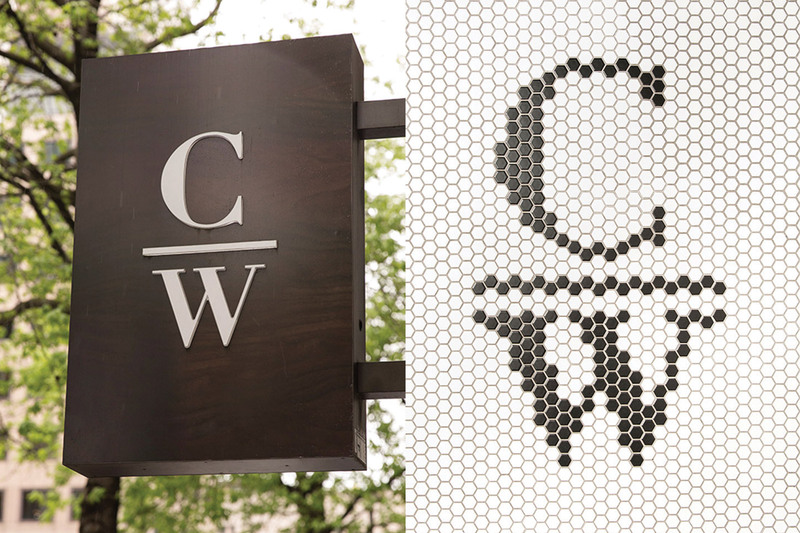 A monogram on the outdoor signage—and on the penny tile entrance floor!—welcomes guests to Coterie Worklounge. 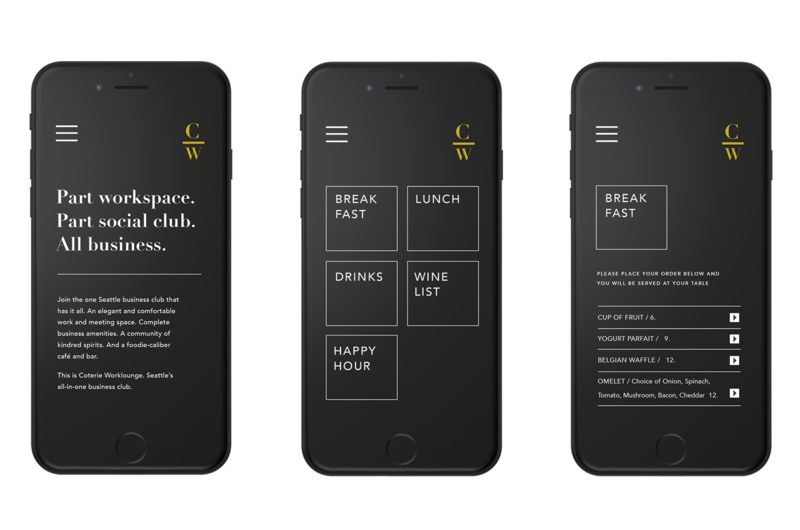 Coteries' menus at your fingertips using a subtle expression of the visual brand. Outdoor signage plays an important role when located in a multiple tenant building. 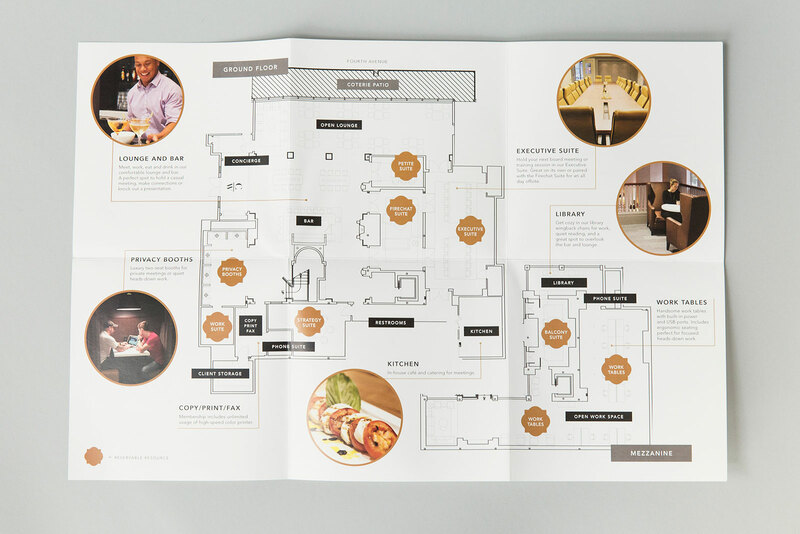 The welcome brochure gives an elegant first impression and provides answers to the questions a new—and unique—business concept might raise. For the new guests: a map showing off the many different available spaces for working, connecting and unwinding. 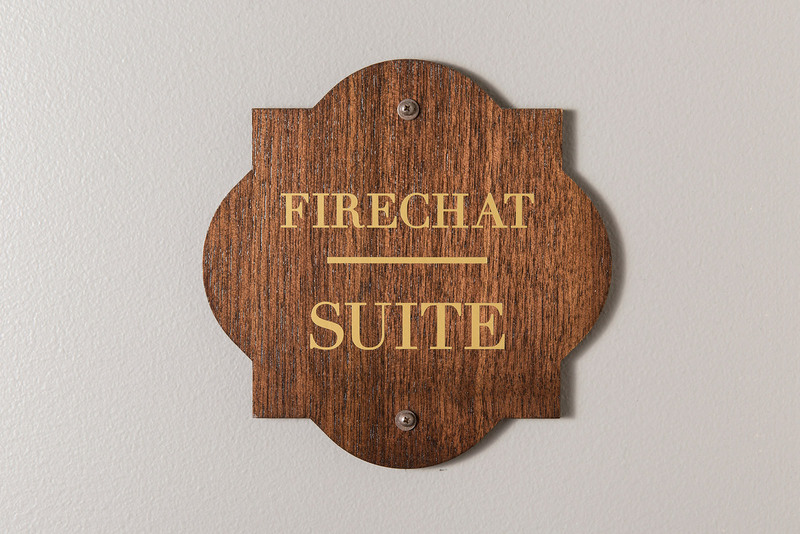 We translated the accent graphic from the printed materials into sweet little meeting room signs. The different brand elements can easily be applied to special event communications. 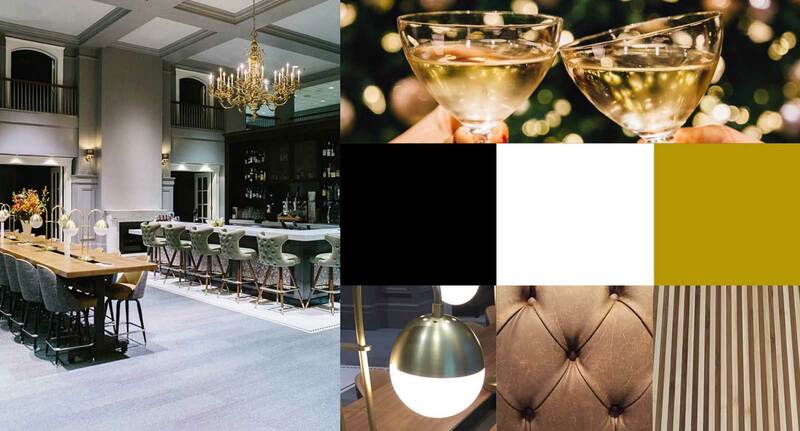 Moodboards are very helpful in carrying a brand across many aplications, including interior design.